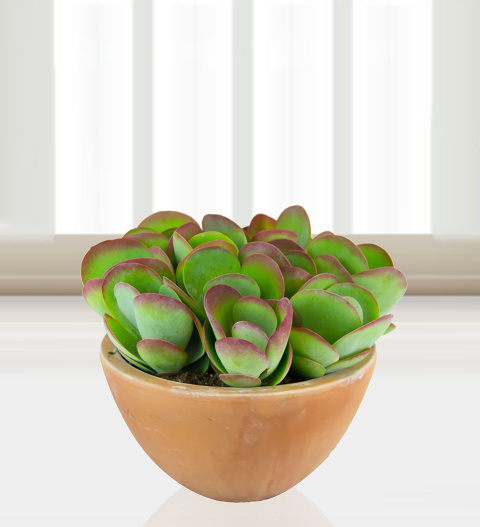 A splendid succulent bowl beautifully presented to make a wonderful gift. Long lasting and easy to look after, this is a gift sure to bring the warmest wishes to any home. Beautifully gift wrapped, the gift measures 24 cm. Perfect for a patio throughout the summer bringing inside during the colder months. Chocolates may contain nuts.